A richly rewarding evening of beguiling choral music sung with passion and commitment. 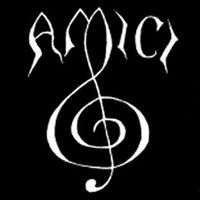 The Amici Chamber Choir was established in 1986 so that a group of experienced and enthusiastic amateur singers could enjoy performing music to a high standard. The choir celebrated its 30th anniversary in 2016. The choir draws its members from across north/west London and consists of about 33 singers who are required to have good sight singing ability. We perform regular concerts in Harrow and central London, with occasional trips to other parts of the UK. The repertoire covers both sacred and secular works, from Renaissance church music and madrigals to music of the present day.